Planning for a Generator Install in Athens, GA? 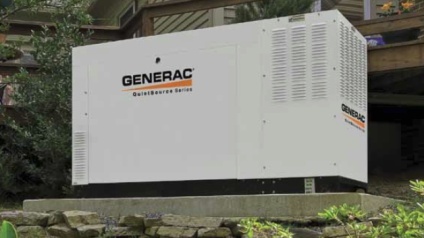 Installing a generator is beneficial for both residential and commercial properties. But looking for an experienced, licensed electrical contractor to install the generator in Athens, GA can get complicated. Luckily, Meehan Electrical Services provides professional generator installation and service in Athens and surrounding towns. The licensed electricians at Meehan Electrical Services have extensive training and industry knowledge, after years of experience installing both stationary and portable back up generators in the Athens region. Established in 1960, Meehan Electrical Services’s expert staff remain up to date on the latest innovations in back up power and generator hookup standards, including transfer switches, subpanels and safety issues. You can rest assured that your Athens generator installation will meet if not exceed national, Georgia, and Athens electrical code when Meehan Electrical Services does the work. Athens residents trust the skilled staff at Meehan Electrical Services, and rely on our expertise to get the job done. Meehan Electrical Services provides all of these services at reasonable rates, affording every Athens property protection from extensive power outages. Avoid the hassle of DIY generator install, and take advantage of Meehan Electrical Services’s affordable installation rates. Safety is the top priority for Meehan Electrical Services staff, and Athens residents can trust the careful work of our skilled electricians. Portable and stationary generator install in Athens, GA needs to be handled properly to avoid back feeding and other dangerous conditions. Meehan Electrical Services is dedicated to keeping Athens residents and electrical utility workers safe and secure, especially during emergencies and black outs. Meehan Electrical Services provides the expertise and skills residents demand when installing a power generator in Athens, GA. Our Athens electricians are available at reasonable rates, and Meehan Electrical Services is dedicated to installing the safest and most dependable back up systems possible. Call (706) 717-4947 today to arrange for a free estimate in the Athens region.